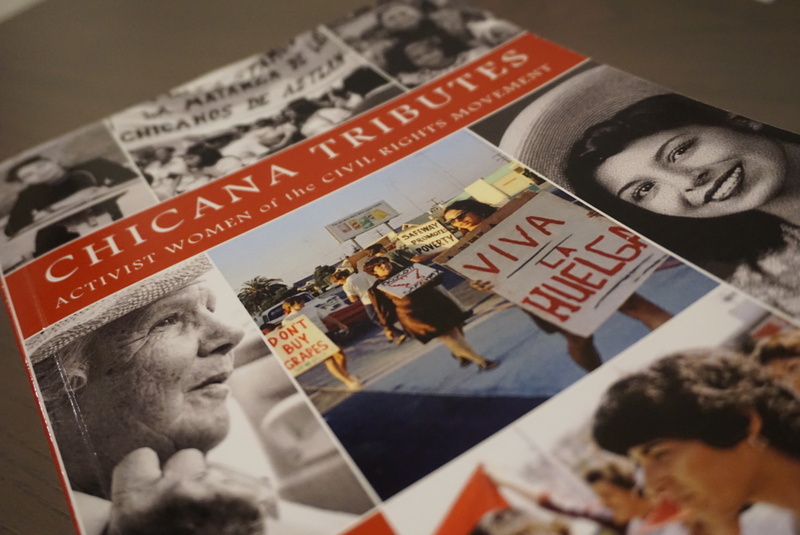 The 422-page book contains stories of 61 women in San Diego in professions ranging from education and politics to music, arts, and community activism. A reception and book signing will be held from 4:30 p.m. and a panel discussion by some of the women in the book will begin at 5:30 p.m.
Panelists include: Norma Hernandez, the first Chicana superintendent and president of Southwestern College; Beatrice Zamora-Aguilar, co-leader of Danza Mexicayotl; Irma Castro, first Chicana director, leader and mentor; Mary Casillas Salas, mayor of the City of Chula Vista; and Norma Chavez Peterson, executive director for ACLU San Diego and Imperial Counties. In a previous interview with La Prensa San Diego, co-editor of the book, Rita Sanchez, said she and co-editor Sonia Lopez encouraged authors in the book and honorees to hold events to continue sharing the stories of women in the book. Hernandez was born in Tijuana, Baja California, and was raised in a bicultural and bilingual environment, which helped her in her work of bridging the gap between parent and students and teachers and school administrators, according to her chapter in the book. She was appointed superintendent and president of Southwestern College in 2003, and in 2010 she was elected to the Southwestern College Board of Trustees. Her chapter is written by Adela Garcia, chair of MANA de San Diego, who will facilitate the discussion on Wednesday. Zamora-Aguilar served students of San Diego Mesa College and Southwestern College and is the co-leader of Danza Mexicayotl. Her chapter is written by Lizz Huerta. In a previous interview with La Prensa San Diego, Zamora-Aguilar shared her passion and dedication to the communities in San Diego and to preserving traditions through her involvement with the Chicano-Azteca dance group. Castro dedicated her life to being an activist, leader and professor. She was the Chicano Federation executive director, worked for the San Diego Unified School District, and Casa Familiar among others. Her chapter is written by her daughter Marisol Rerucha. “Yes, my mother changed our community, but through her love, she changed the trajectory of my life and that of my brothers,” she wrote. Casillas Salas is the first Latina elected to City Council and then Mayor in San Diego County. Her chapter is written by Aida Bustos, professor of digital journalism at City College. Chavez Peterson is the first Chicana to serve as executive director for the ACLU San Diego and Imperial Counties. Her chapter is written by Bianca Boyer, student at San Diego Mesa College. Other women of the South Bay who will be honored include: Berenice Badillo, Norma Cazares, Enriqueta Chavez, Guadalupe Corona, Denise Moreno Ducheny, Veronica Enrique, Angela Garcia Sims, Norma Iglesias Prieto, Adriana Jaso, Irene Lara, Carmen Lopez, Sonia Lopez, Coral MacFarland Thuet, Consuelo Manriquez, Rachel Ortiz, Carmen Sandoval, Elsa Sevilla, Andrea Skorepa, Charlotte Hernandez-Terry, and Teresa Pascual Valladolid.